Panasonic has expanded its Video Door Phone portfolio with the launch of VL – V590 and VL – V900. These products incorporate features like location monitoring, electric lock release, multiple household connectivity and wireless connectivity for enhanced security and surveillance. The VL – V590 comes with features like the electric lock release and a connectivity of upto 20 households. The product enables the connection of any combination of 7-inch wired monitors and 6 wireless monitors with intercom calling facility respectively. 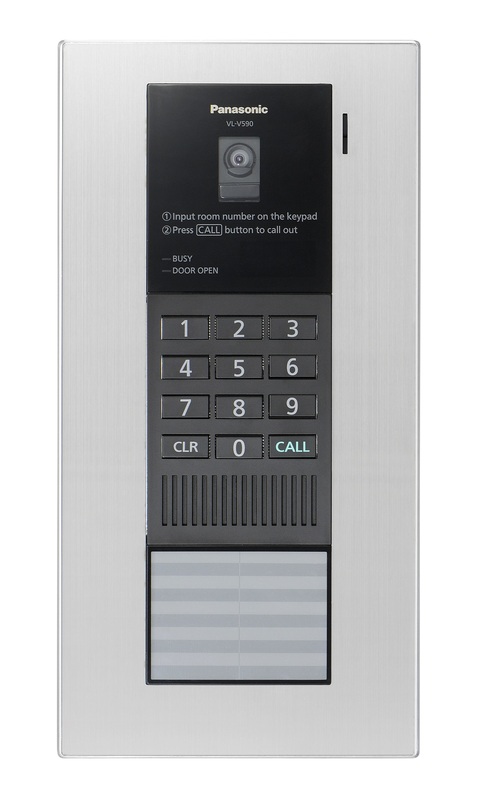 Optimal for establishments such as apartments, the product allows the user to enter the installation with the help of a PIN lock code as well. The product will be available at a price of Rs 29,990. Panasonic will also soon be launching other video intercom products like the VL – SW274 and VL – SV71, as it continues to expand its presence within the segment.